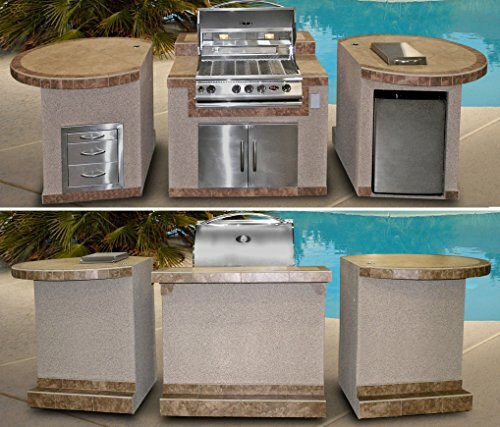 Turn your backyard into a state-of-the-art outdoor kitchen with the Cal Flame e3022 3piece BBQ island with rounded edges that seats 6 comfortably. 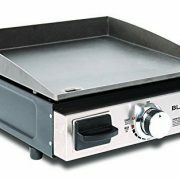 Round counter areas also include 8 under counter lights & a solid foot rest. 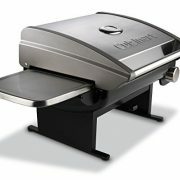 This breathtaking barbecue island includes a 60,000 BTU 4-burner stainless steel gas barbecue grill, 30 in. 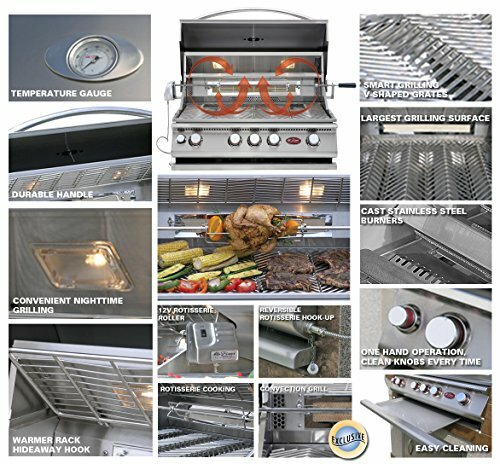 Stainless steel double access door, 3 drawer wide storage, 4.6 cu. 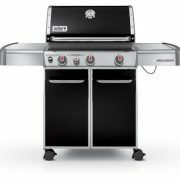 Ft. Built-in stainless steel BBQ refrigerator, electrical outlet & 2 umbrella holes, making it a great fit for your backyard lifestyle. 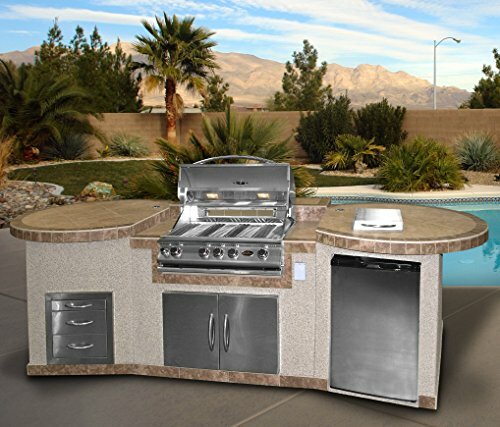 Whether you are looking for a BBQ island for entertaining family & friends or cooking simple backyard meals, the BBQ island series has the island that is perfect for you & your home. 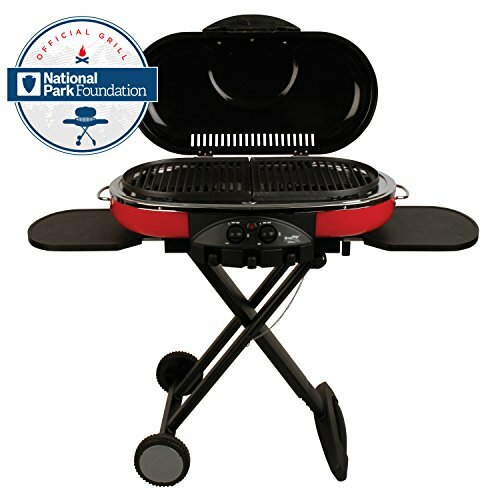 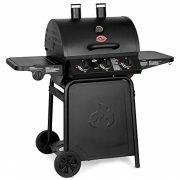 The 60,000 BTU 4-burner stainless steel gas barbecue grill features a convenient full width drip tray, one-piece handle, four cast stainless burners with independent ignitions, lip guards on all burners to prevent clogging, included rotisserie Motor mounts on left or right side. 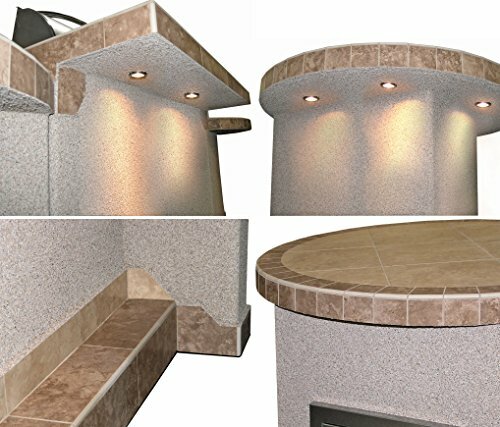 The porcelain tile counter & round edges are topped with a two tone design of tropical brown & cream tiles with a durable, stain free base made of stony Creek ameristone stucco.